Every year when The Best City to Visit Travel Tournament comes to an end, many people claim the result was destined from the Round of 64. Looking at this year’s winner though, it was hardly a given London would be voted by you The Best City to Visit of 2019! 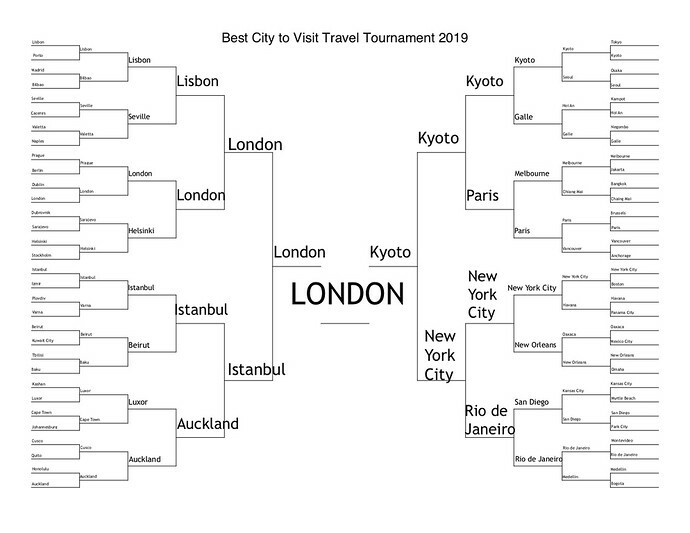 London barely made it past Lisbon in a tie-breaker and had to go through 4 years of Final Four loses to finally win it all with your votes. Those of you who entered the year’s tournament, don’t get discouraged, you’ll have plenty of time to regroup for 2020. (Nominations will begin in February, sign up here not to miss them.) Congratulations again to Brian, who originally chose London, and wins $300 to spend at the Apple online store. For the past 8 years, I have visited the winning city which means London I’ll see you sometime soon. I’m thinking this fall, bringing a few friends along, and throwing a party in the city! Let me know if you live in London or will be visiting later this year and would like to join. Feel free to send me an email, we had a lot of fun last year in Granada. Thank you again everyone for participating! One thing I love about the Best City contest is I never know where I’ll be going and it’s like a surprise travel plan you make for me every year. Cheers to that and London in 2019. London Makes An Incredible Comeback To Face Kyoto In The Best City 2019 Championship! 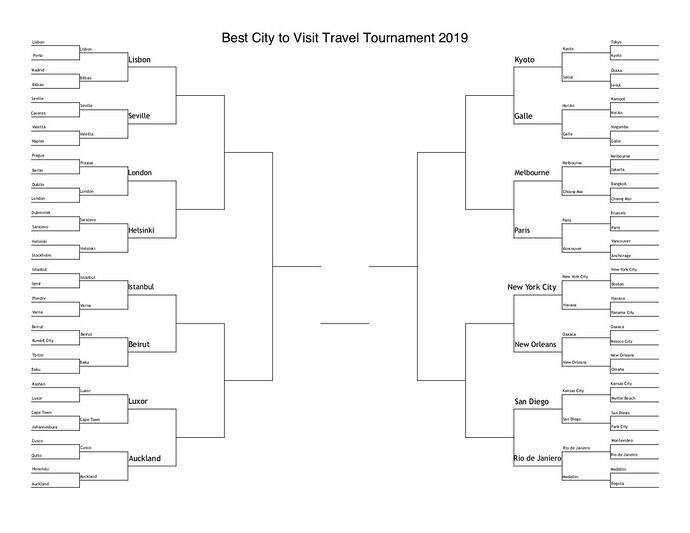 The 2019 Best City to Visit Travel Tournament began over 6 weeks ago, with 64 cities and now we’re down to only two. Istanbul jumped out to an early lead in the Final Four but London outpaced it in the last moments of the round to win by just 4 votes. Meanwhile, Kyoto has quietly reached the Championship for the first time ever. Whether its luck continues, to win it all, depends on you. Readers, it’s time to vote! 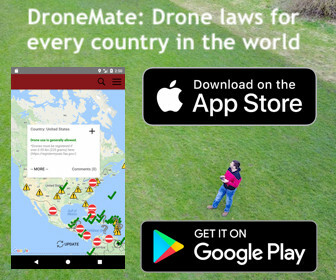 Click your favorite cities before this Sunday, April 7th, 5pm US EST (-4 GMT). Final vote results many not be visible, check for updates in the comments below or on Facebook. Thank you everyone who has participated, voted, and supported your cities! 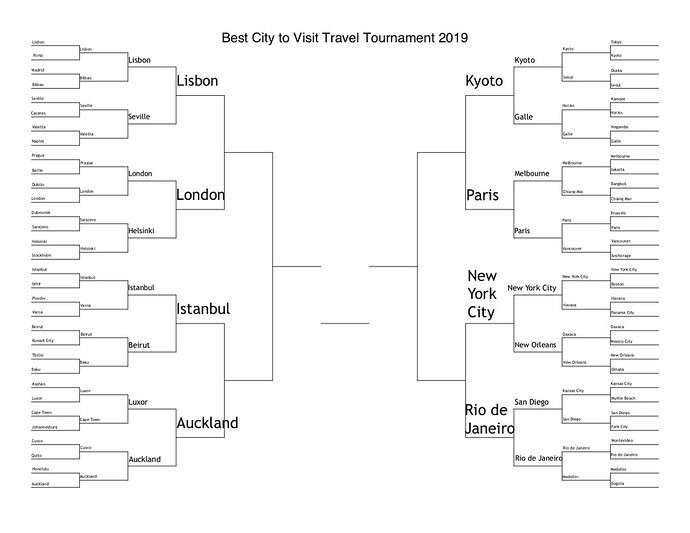 The winner of The Best City To Visit Travel Tournament will be announced on Tuesday, April 9th. Good luck to both Kyoto and London! The 2019 Best City To Visit Is Down To A Very Likely And Unlikely Final Four: It’s Time To Vote! 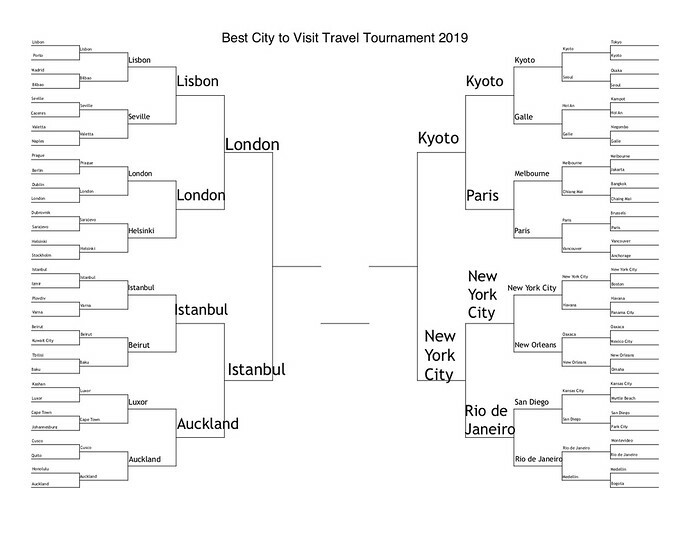 The Best City to Visit Travel Tournament is very familiar territory for London and Istanbul but neither have ever won or made it past the Final Four. By next week’s championship that will remain true for one of these two cities, as Istanbul faces London, who got past the Elite 8 on a tie-breaker. On the other side of the brackets, New York City advances on its second tie-breaking win, and is set to compete with Kyoto, the Cinderella story of this year’s tournament. Readers, it’s time to vote! Click your favorite cities before this Sunday, March 31st, 5pm US EST (-4 GMT). Final vote results many not be visible, check for updates in the comments below or on Facebook. As we near the end of this tournament, a look back on the first city to ever win twice and back-to-back best city contests at that. Thank you for the past 2 years Granada! Remember, the Championship begins next Tuesday, April 2nd, 2019. Good luck everyone! Even So Far, Which One Of These Cities Will Break Out Of The Elite 8? It’s been one of the more quiet Best City to Visit Tournaments in recent years and so far, no one city has leapt in front of the pack. Kyoto pulled off a very last minute victory over Galle, Lisbon continues strong, but Auckland has made it to new Elite 8 territory. Which one of these cities will make it one step closer to the Final Four depends on your votes below! Readers, it’s time to vote! Click your favorite cities before this Sunday, March 24th, 5pm US EST (-4 GMT). Final vote results many not be visible, check for updates in the comments below or on Facebook. 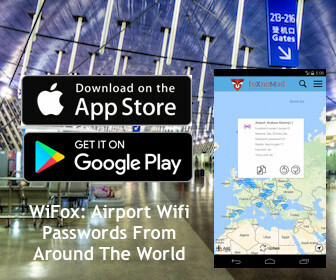 Remember, the Final Four round begins next Tuesday, March 26th, 2019. Good luck everyone! It was a very tight Round of 32, with several cities squeaking by, plus Galle and New York City making it through by winning a tie-breaker. The North Americans are dominating the lower right of the brackets and one U.S. city is guaranteed to make it to the Elite 8. And although they’ve been quiet so far, Seville faces a strong Lisbon in a battle of the highest voted cities in the Best City contest thus far. Readers, it’s time to vote! Click your favorite cities before this Sunday, March 17th, 5pm US EST (-5 GMT). Final vote results many not be visible, check for updates in the comments below or on Facebook. Remember, the next round of Elite 8, begins next Tuesday, March 19th, 2019. Good luck everyone! 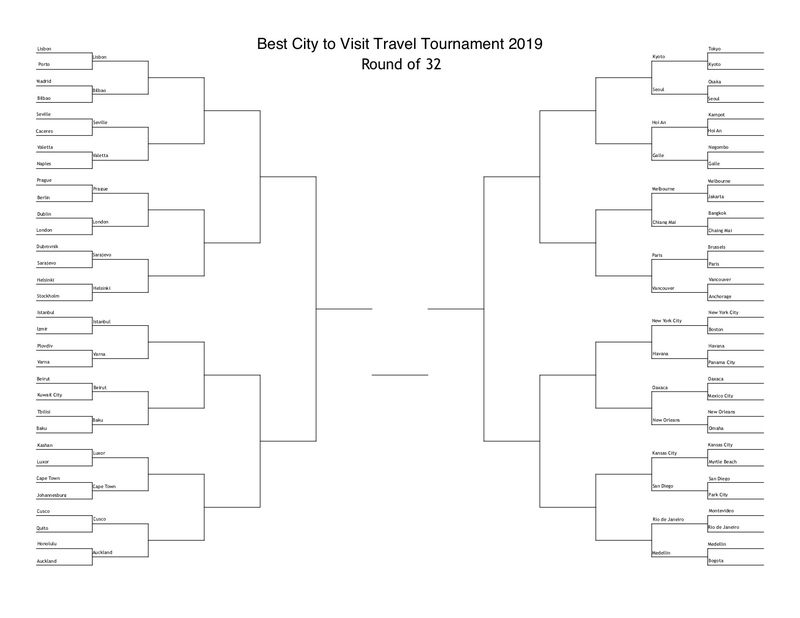 Things Get Serious From Here: Vote In The Best City 2019 Tournament Round Of 32! 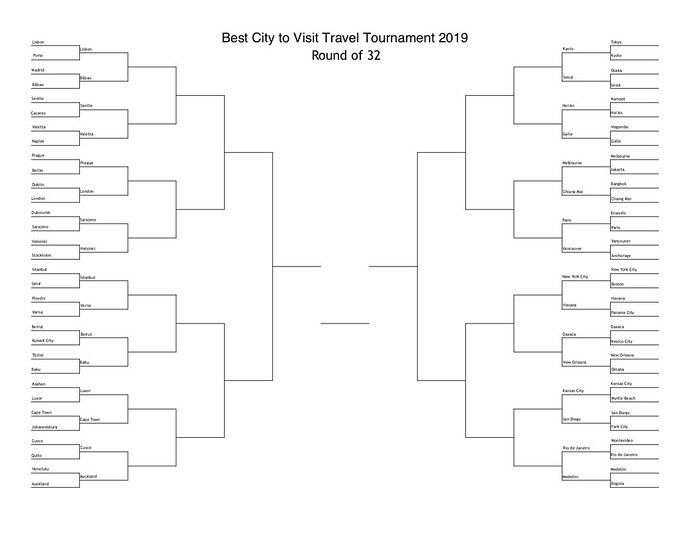 The first Round of 64 cities in the Best City to Visit Travel Tournament are a crowded blur but since you’ve voted half of them away, contenders are starting to come into focus. Spain’s Seville might want to take the prize from 2018’s best Granada, New Orleans could be America’s first, and Istanbul is off to its annual strong start. And although there’s no possibility of a back-to-back winner, there might be another repeat – here’s a high-res image of the brackets shown above to guess where. Your votes determine which of these 32 cities move on from here. Voting is open through this Sunday, March 10th, 5pm US EST (-5 GMT). Good luck to each of these cities! Should any of the votes be tied at the end of a round, I’ll be the official tie-breaker. The Sweet 16 begins Tuesday, March 12th, when you can see if your favorite cities advanced or were eliminated. Thanks for participating!